Can you introduce Netapp WFA in 2 sentences? 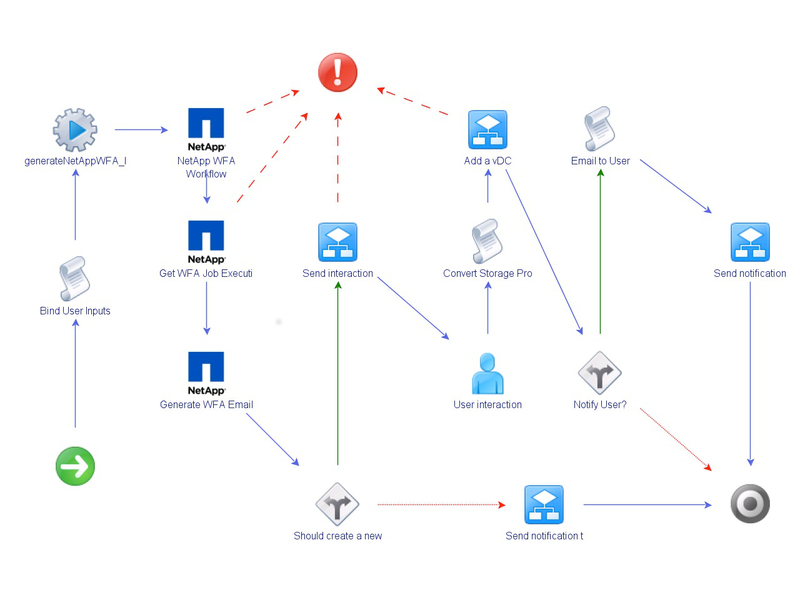 Jeremy – OnCommand Workflow Automation (WFA) is NetApp’s automation framework that enables architects to create storage automation workflows and to integrate with third party SDK toolkits like VMware’s PowerCLI. WFA gives NetApp storage administrators the ability to turn traditional scripts into full blown repeatable workflows that can intelligently provision and manage storage. What drove you to build an integration of WFA and vCO? Jeremy – I have had a lot customers tell me that they want to leverage vCenter Orchestrator as the orchestration portal, but needed storage automation as well. People that have seen WFA’s intelligent storage placement and integration desired to add this to vCO’s already robust features. We had this grand vision of vCO and WFA working together to build more than just traditional VMware Datastores. We wanted to give vCO the ability to not only integrate with VMware environments, but also manage and provision NetApp storage . Now vCO admins can build workflows that provision applications to use NetApp storage, manage CIFS home directories and even manage NetApp Snapshot backups. When building the solution, what were your biggest challenges? Jeremy – We wanted this to be simple to use and easy to drop in. The big challenge was in trying to modularize the entire structure to allow end users to drop the package into their environment and just go. It was important to me that the WFA package be a complete self-contained plug-in type of solution that required very little customization. When you now (proudly 😀 ) review the solution, what do you like most about it? Jeremy – Ok, I might be bragging a little here but honestly, I am proud of how simple it is to use. A NetApp Storage Architect can now create fully intelligent and structured WFA workflows while enforcing NetApp and the customer’s best practices. The architect can have the workflow build entire tenancies or application stacks and then share the workflow with the VMware team. Within minutes, the VMware team can literally pull the workflow into vCO and be off the ground. It really is that simple. So, watch the videos, download the package, and enjoy the power of automation!